The Inaugural Horse Heritage Hall of Fame Awards take place this weekend at the Erin Fair - 3 days of everything horse. 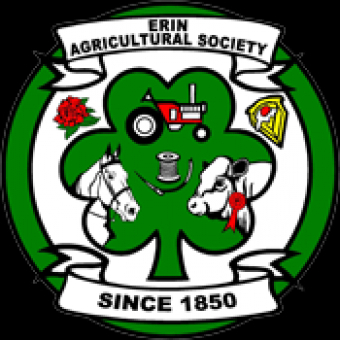 The 168th Erin Fair Erin proudly presents its’ Inaugural Horse Heritage Hall of Fame Awards, as part of this year’s Erin Fall Fair. These awards pay tribute to the the following; equine community contribution, breed development and youth mentorship, industry leadership, and lifetime achievement. Please join Fair President, Dwayne Gregson and other distinguished members of our horse community, to honour the work and lifetime contribution of our award recipients. This special ceremony is taking place in the Equine Tent and the public is welcome. The Equine Tent, presented by Budson’s—Provisions for Country Living, is located at the back of the Fairgrounds, near to the Track. The Erin Fair Horse Hall of Fame is part of the Erin Fair Equine Tent which includes three days of horse education, clinics and presentation and live horses. Equine Tent events culminate on Thanksgiving Monday with a 1pm presentation by Eglinton & Caledon Hunt Club: Horses and Hounds (on the Track), followed by an All Breeds Horse Parade 1:30 pm) and the Ontario Mounted Special Skills Unit, Precision Drill Ride (based on the Toronto Mounted Police Drill). Grelo Farms (Frank Grelo) and their beautiful Luitsano horses will be participating and presenting a Classical Dressage following the Parade in the Equine Tent. Horses are all natural, where possible use all natural fibres when putting a blanket on, or even your saddle pad.